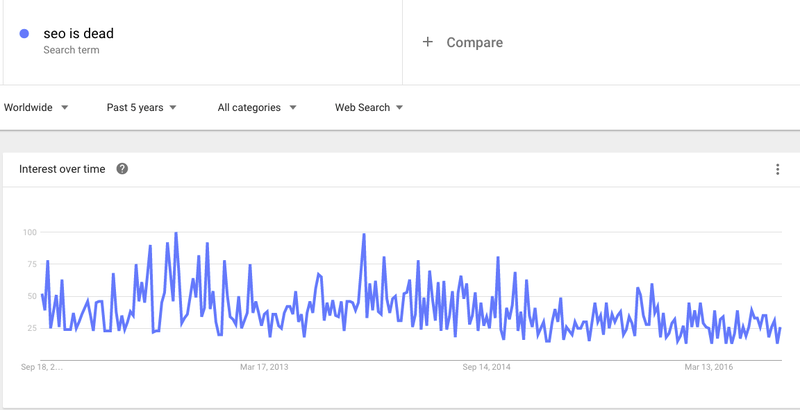 People have been proclaiming that SEO is dead for quite a while now. It’s not really a new thing. It’s also wrong. It wasn’t over when they released Panda and Penguin and it isn’t dead now. For those companies who have found their results bumped down below that of Google’s own products, we just need to work smarter. Skyscanner results, for example, are now below the fold on ‘flights to’ queries, where we’ve been bumped down to make way for Google’s own flights product. How many of you have ever googled ‘Flights to New York’ clicked on the top search result, followed the whole process through and then booked, all in the space of 30 minutes? I would guess not that many. Travellers are more likely to start by searching ‘Year round weather New York’, ‘Best time to visit New York’, Do I need an ESTA’, ‘Cheapest time to visit New York’, Dollar exchange rates’. Do you know how many Google products push the top result below the fold on any of these queries? None. Should we want to be ranking on these queries? Absolutely. ‘SEO is dead’ is simply a reaction from people who are unwilling to adapt to the new SEO environment. At Turing Fest in Edinburgh I heard Wil Reyonds talk and his message was to ‘answer the query before the query’; i.e., what do people search for before they search with intent to buy? When people are deciding where to go on holiday, what information are they searching for? SEO is an abundantly free, effective traffic source. We should all be putting more effort into this channel than ever before — in the right way. Whilst everyone else is deprioritizing SEO to the bottom of their ‘to-do’ list under the belief that SEO is dead, we should all be using it as an opportunity to rank for the long-tail. Here at Skyscanner, we’re aiming to answer the query before the query, so when it comes to search with intent, Skyscanner is front of mind because we have met our users’ needs with content that is informative and timely. To do this we need to hypothesise, experiment and test what works, what doesn’t and what has no effect. This is what it means to be a good SEO. We are the scientists of marketing and because things are trickier than they were yesterday is not a reason to declarethat our industry is doomed. I read a fantastic book recently, ‘The Beautiful Constraint’. In summary, it states that it is only in the face of a constraint that we can realise our full potential and reach higher than we have done previously. I believe businesses should be using Google’s constraint of prioritising its own products above search results to their advantage; for example in ranking higher for more obscure but higher-intent searches. And for us at Skyscanner, that means answering the traveller’s queries. SEO is far from dead, it’s just gone through a bit of a transformation. We do things differently at Skyscanner and we’re on the lookout for more Tribe Members across our global offices. Take a look at our Skyscanner Jobs for more vacancies. 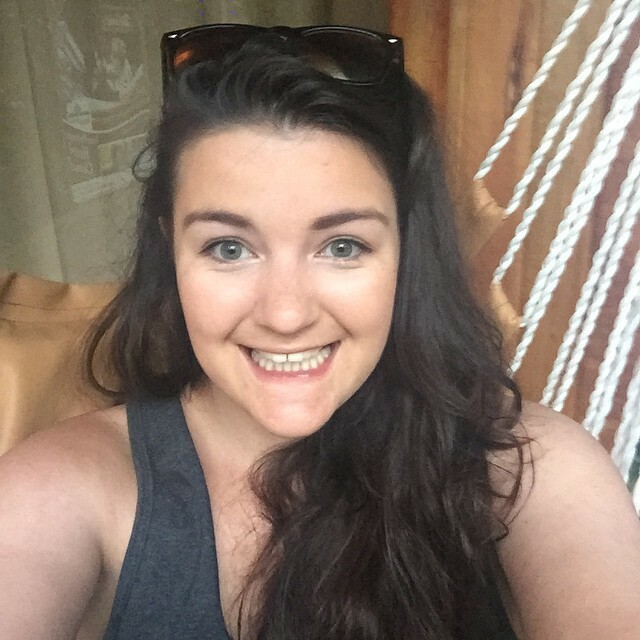 Hey, I’m Emily and I’ve been hacking my way around Skyscanner for over two years now, starting off in marketing and moving towards content and then analytics within content. It’s been a bit of a learning curve picking up Python and SQL! Skyscanner is awesome that way; when you find an interesting project to work on you can jump on it. Working at Skyscanner has taught me that the value of reading is vastly underestimated in general. I love reading books that challenge my first principles and teach me a new perspective that I had never considered before. Outside of work I love going to see gigs, watching trash-TV and creating all sorts of masterpieces and disasters alike in my tiny kitchen in Edinburgh.